I experienced my lowest point as a parent early on, when my 2.5-year-old daughter was diagnosed with cancer. I felt distraught, guilty, and helpless. Sure, I could advocate for her care, research the latest treatment options, and pray to anyone or anything listening to return my daughter to her delightfully silly and lovable self, but I could not fix the problem. I could not rid her body of the cancer, the only thing that really mattered. A sick child – be it mental or physical illness – is a parent’s worst nightmare. Regardless of how often doctors tell you it’s not your fault, you feel the weight of responsibility like you’ve never felt it before. Our job as parents is to protect our children; how can we not blame ourselves when they are in pain? While my daughter’s health has fully recovered, the emotions of her illness have stayed with me. There seems to be no leaving that feeling of intense nausea and extreme vulnerability and powerlessness behind that I experienced when hearing of the mass in her throat. A few weeks ago, sitting in the Curran Theatre alongside 25 youth professionals, 12 funders of teen engagement work, and 50 teens, I experienced a familiar aching. 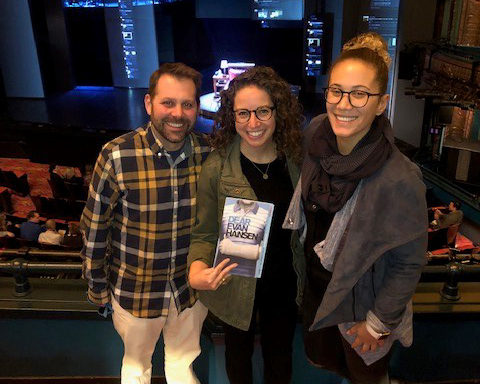 This time, however, it was not for my daughter, but for the characters in the Tony award-winning musical, Dear Evan Hansen. These three disparate yet closely connected groups came together for a program as part of the Jewish Community Center of San Francisco’s Teen Arts Immersion Program (TAIP), one of the Innovation Accelerator programs supported by the Federation’s Jewish Teen Education and Engagement Initiative (Teen Initiative). Without giving too much of the show away, it begins with a bout of teen angst and ends reminding us that it’s not always happily ever after (as if we needed the reminder). In between, themes of loneliness and isolation, social media and personal connection, loss and opportunity are explored. What I found great value in, that came completely unexpected, was the perspective of the parents. I assumed the show would be focused on the teen experience, and while it was, it was not exclusively that. Adolescence is a difficult time to navigate for teens, but I think we forget how complicated it is for parents too, as well as any youth professional who makes a career of working with young people. The show reminds us, all too tragically, that adults are not superheroes. We cannot solve all the problems of the world, let alone those of our own children. And we certainly can’t do it on our own; we need to ask for help and find guidance. When it comes to mental health, ignorance is not bliss. Ignorance is tragedy in the making. And while we may fear that computers and technology have become a substitute for real relationships, we know there is no substitute for face-to-face interaction. We can fool ourselves into thinking our teens don’t want us around, and perhaps that is true at times, but teens need caring adults in their lives – parents, teachers, youth group advisors, camp counselors. But sometimes being around isn’t enough. Teens need more; they need help, and we need to be prepared to give that to them or get them the support that they need. Dear Evan Hansen felt like a call to action. I left ready to do something, but I didn’t know what that something was. What great action could I take to change the world, at least the world of teen mental health, or better yet, what action could all of us who attended take to really make change? I thought long about this, chatted with colleagues, and came to the realization that one big action won’t make a difference. It’s the little things – like treating Connor with respect instead of calling him a freak, or noticing Evan and saying hello instead of pretending he’s invisible. The Teen Initiative appears to be a big bold action, yet it’s really a compilation of many small things that I believe will create more meaningful Jewish experiences for teens today. This work is based on the Federation’s belief that during this pivotal time in a young person’s journey to adulthood, meaningful Jewish experiences offer significant holistic benefits with life-long positive affects – providing safe spaces to discover and be one’s authentic self, fostering friendships with peers and meaningful relationships with adult role models, developing pride in being Jewish, and supporting identity development. And the key to creating such experiences? Our youth professionals who are on the front lines working with our teens in youth groups, camps, schools, synagogues, and more. Yet, many of these hard-working people enter their jobs with the same questions the rest of us are struggling with – what to say, when to say it, who should deliver the message, and how best to act. I wish there was a simple answer that we could give, but nothing so complicated is ever solved so easily. So we are doing our best to raise awareness, decrease stigma, educate, advocate, train, and support. Through our partnership with Jewish LearningWorks, the Teen Initiative is making it a priority to ensure that our youth professionals feel competent and confident to care for all our teens. Offering free youth mental health first aid training: February will be our fourth opportunity for youth professionals to participate in this day-long training and become certified in what we expect will continue to be a growing need in our community. Hosting the Teens Thrive un-Conference throughout the Bay Area in February: Over the course of one week, youth professionals, rabbis, educators, lay leaders, and others in our community who work with teens can experience a variety of key notes and workshops led by national experts in the field of teen health – spiritual, emotional, mental, and sexual. 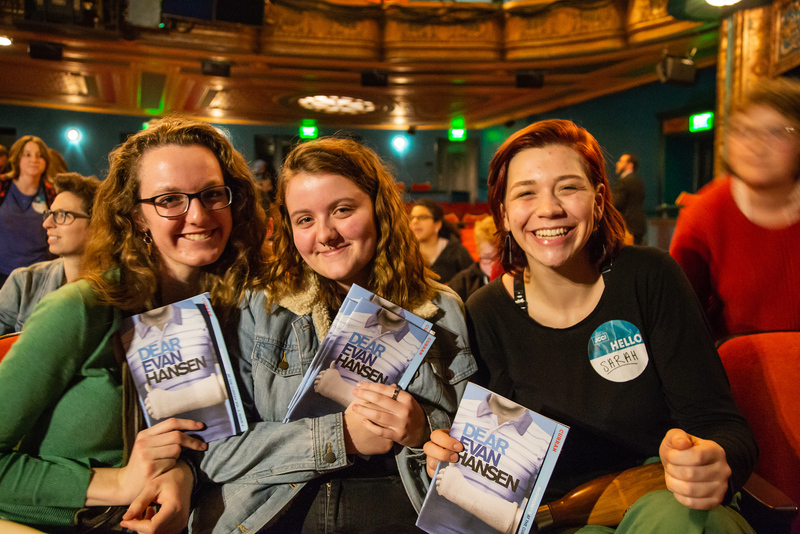 Providing experiential programs that dive deep into various issues:Our Dear Evan Hansen experience focused on eliminating hate by developing upstands among our youth, and our upcoming day of learning with Dr. Betsy Stone in San Francisco on April 10 will focus on best practices for supporting teens. 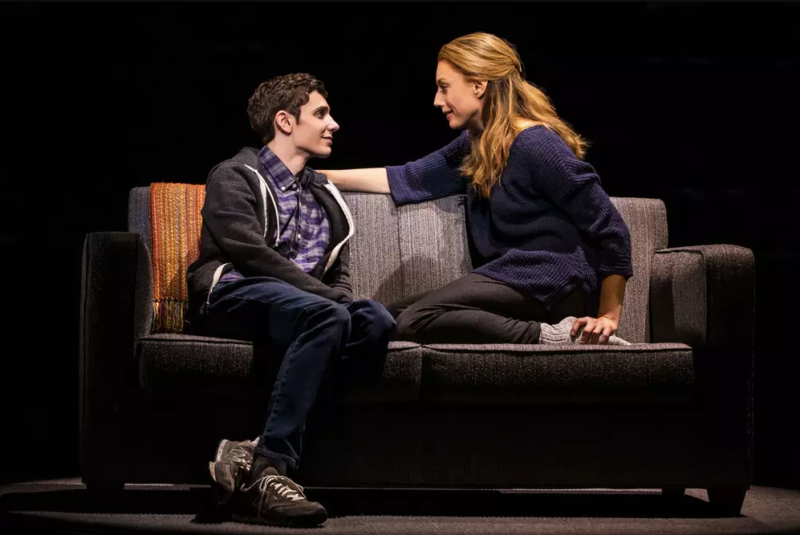 Dear Evan Hansen is a painful reminder of the realities faced by teens today and those who love them. In an interview on creating a story about a teenager, playwright Steven Levenson noted, “There’s something about those years. The stakes are never quite as high after that ever again. Even though that’s not really true, that’s how it feels.” Mr. Levenson is right, and his assertion is why I, and many of my colleagues, do the work that we do. Regardless of the truth we know as adults, teens’ experiences are their reality, and the emotions they are feeling and situations they are experiencing feel extreme to them. This brings to mind the Jewish value of pikuach nefesh, saving a life. While we may not all be doctors or soldiers or other life-saving professionals, we can all be compassionate and kind, we can all listen and support, and we can provide help or ask for it when needed, for ourselves or for others. That is the work we can do to help save the lives of our teens.